Harsh Vardhan Shringla is a career diplomat and a member of the Indian Foreign Service since 1984. In the course of a diplomatic career spanning 35 years, Ambassador Shringla has held a variety of positions in New Delhi and abroad. He has served as High Commissioner of India to Bangladesh and Ambassador of India to the Kingdom of Thailand. He has also served in France (UNESCO); USA (UN, New York); Vietnam (Hanoi and Ho Chi Minh City); Israel and South Africa (Durban). 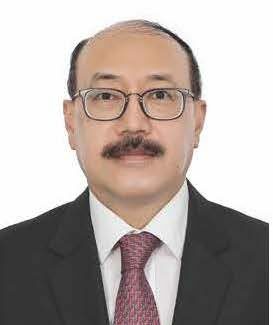 Ambassador Shringla has served in the Ministry of External Affairs, New Delhi as Joint Secretary (Director General) responsible for Bangladesh, Sri Lanka, Myanmar and Maldives. He has also headed the United Nations Political and SAARC Divisions in the Ministry. Earlier, he served as Director of the Northern Division dealing with Nepal and Bhutan and as Deputy Secretary of the Europe West Division. Ambassador Shringla has graduated from St. Stephen’s College, Delhi University and has worked in the Corporate and Public Sectors in India prior to joining the Indian Foreign Service. He has pursued courses and published papers on conflict prevention, economic diplomacy, the Indian diaspora and India-Bangladesh relations. Ambassador Shringla speaks French, Vietnamese and Nepalese apart from English and Indian languages. He is married to Mrs. Hemal Shringla and has one son. Ambassador Shringla assumed charge as Ambassador to the United States on January 9, 2019. He presented his credentials to the President of United States H.E. Donald J. Trump on January 11, 2019.